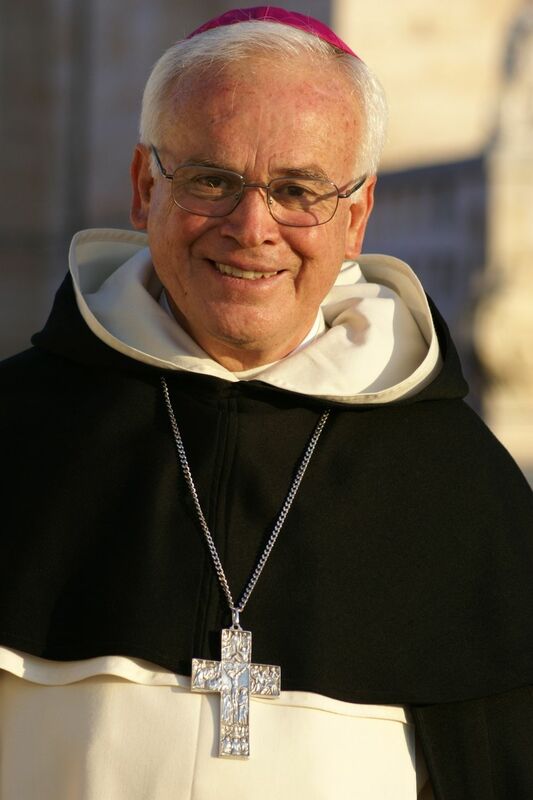 A Mexican Dominican Bishop, Raul Vera OP, was recently in London, accompanied by Stephanie Brewer, a human rights activist, representing a 27-strong coalition of charities and NGOs. Bishop Vera is Bishop of Saltillo, Coahuila. Bishop Vera and Miss Brewer were in Europe to raise awareness about the plight of migrants who enter Mexico from Central America – desperate people hoping to get across the border of Mexico into the USA. The migrants’ journey all too frequently becomes a journey into a world of extortion, ransom, exploitation, violence and the shadowy gangland world of drugs and weapons. It is one of the most desperate and dangerous journeys in the world. I met the bishop with Jeremy Corbyn MP, who chairs the Parliamentary Group on Mexico and who has raised these depredations in the House of Commons. Bishop Vera, whose diocese adjoins Mexico’s border with Texas, has been directly involved in the network of migrants’ shelters established to give help to illegal migrants fleeing destitution in Honduras, Guatemala, El Salvador and Nicaragua. He is a passionate man deeply disturbed by the vicious circle into which so many people have been sucked and then trapped. Their crime? – to seek a better life for themselves and for their families. The bishop described how migrants cross into Mexico using routes which are often over-looked by Mexican Government agencies. Once inside the country they are then liable to be kidnapped by mafia-style gangs. 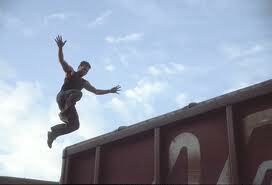 In particular, freight trains on which migrants seek transport are targeted by the gangs and the migrants are abducted. With complete impunity the gangs then load people into trucks – just like cattle – and transport them to hideaways. Next, they contact relatives whom migrants were hoping to reach in the United States. Then they demand a ransom of thousands of dollars. Unable to pay, the required ransom money is provided by loan sharks – money lenders who are often related to the abductors. Migrants are then indebted to their owners and treated as chattel – modern slaves. They are spirited into the United States, often forced to carry in drugs, and on arrival they are initiated into a seedy world of narcotics, vice, and every illegal activity known to man. There is also a link with gun running. Bishop Vera says there is a shocking culture of impunity – with the State authorities seemingly impotent and unwilling to act. He says that in the Mexican states of Chiapas, Oaxaca, Tabasco and Veracruz – and in Mexico City – the vast majority of the journeying migrants are detained by the authorities but many of these, too, become victims of abuse and exploitation. Mexico stands out as a country which, almost uniquely, is both a destination and transit route for migrants. It is also the country to which illegal migrants from Central America are returned if they are apprehended in Arizona or Texas. The Central Americans who are using Mexico as a passageway to the USA are joined by thousands of indigenous Mexicans who are themselves try to get into the USA in search of jobs. This creates a nexus of economic, political, humanitarian and social entanglements. We are not talking small numbers. Bishop Vera says that the spider’s web of humanitarian tragedy, experienced by both Mexican and foreign migrants, has led to 20,000 kidnappings every year – and he angrily insists that the authorities in Mexico, Central America, the USA and Europe, have been turning a blind eye to events like the massacre of 72 migrants in San Fernando, Tamaulipas, and mass graves which contain the remains of hundreds of victims. In 2011 the bishop was one of those who launched the “Campaign for the Right to Migrate Free From Violence”. He and the Campaign holds The Mexican authorities “responsible for forced disappearances, kidnappings, extortion, torture and cruel, inhuman and degrading treatment against migrants” and he says that this responsibility stems from their failure to stop – and in some cases by colluding with – organised crime groups who attack and exploit the migrants. Over the past five years 47,000 people have been killed in Mexico’s war on drugs; more than 16,000 people were killed last year alone and 1000 children have been killed since 2006. Through the work he has done on the ground – he founded the Fray Juan de Larios Centre for Human Rights and the Bethlehem Migrant Shelter, in Saltillo, he has seen, first-hand, terrible assaults on human dignity. Fr.Heyman Vazquez Medina, who runs a shelter in Chiapas State, says that “Of every ten women who pass through this shelter, six have suffered sexual assault.” At Tapachula cemetery, in the same State, Amnesty International in their excellent report, “Invisible Victims” produce a photograph of the bodies of migrant workers literally dumped and lightly covered in the passageways between the cemetery’s graves. Bishop Vera would like British Catholics to write to the Foreign Office Minister responsible for Latin America, Jeremy Browne MP, and to their own MPs, urging them to step up the pressure to find solutions to this dire situation. collaborate with other States in the region to end this traffic and abuse of human beings. For some life is so cruel it is hard to believe. Thank you for raising your voice to support these desperate and suffering people, Lord Alton.